Will You Be Able to Get Records In The Future? How will the GDPR affect your work online? 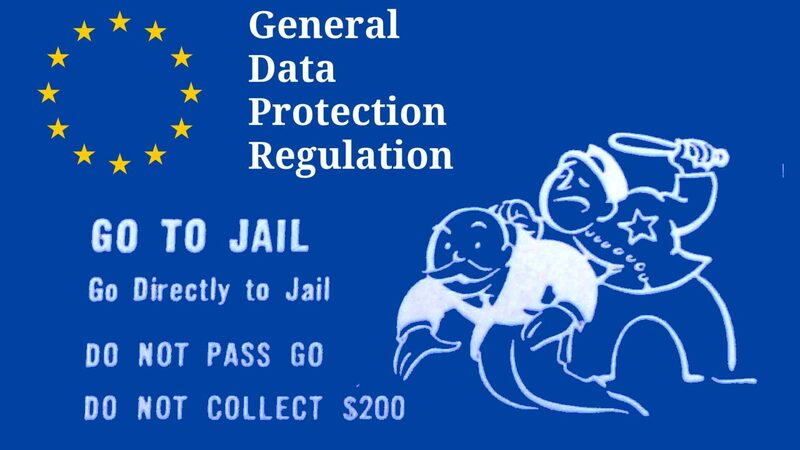 Coming from some of the United States’ most prolific critics for meddling in international affairs, it seems ironic that the European Union is willing to enforce stiff penalties upon ANYONE who violates its privacy laws. Mind you, these laws apply to everyone globally without exception. Help me out here, what is the purpose of genealogy again? Oh yeah, to unite families worldwide. Well, kiss goodbye making connections with anyone living in the EU. If you published information about someone that is not in the public domain or has not been specifically been consented to, you’re in hot water. Yes, it’s true that the GDPR laws only apply to living people, but try to prove that someone’s already dead before sharing your family tree. It creates a paradoxical situation. I can’t speak for everyone, but one of the reasons I do genealogy is to find living relatives and connect with them. When it comes to signing up, double opt-in is preferred but does not specifically protect you. While we’re at it, let’s take a minute to think about the who the target audience is for Pommern research. Most of the people I contact on a regular basis are much older, not very tech savvy, and have a difficult time navigating the internet. And now, the internet just got even more difficult for them. Thanks, GDPR. I’m not sure which one is more concerning: that only six of the members voted to support it or that two actually voted against it. The one beautiful caveat is that this website is run specifically for English-speakers in North America, South America, and Oceanna. The other beauty is that all declassified documents in the United States are available by the Freedom of Information Act. I hate to do it, but if the legal pinch comes upon My Pomerania, we will be blacklisting all European IP addresses so we will not have to deal with the legal headache. On a final note, people have been going out of their gourd about recent happenings with both the Golden State Killer and Facebook’s scandal with Cambridge Analytics. I see neither of them as a gross concern, nor should you. A killer was caught. Facebook is free to use–of course they collect data about you to market you ads that you might be interested in. If you don’t like it, don’t use it! To keep up-to-date with what is becoming available or what will be removed, you can join the IAJGS’s Records Access Alert mailing list. This post will also be updated as more websites are negatively impacted by the GDPR. Just to be clear, I believe that all genealogically relevant information should be free to access worldwide, regardless of privacy laws and copyright restrictions. We live in the 21st century. It’s high time institutions stop playing gatekeeper to historical information. Just because you obtained documents after your country conquered another does not grant you the sole license to use them (or let them sit on the shelf for hundreds of years). Update from the IAJGS: On June 28, 2018 the ECHR ruled on M.L. and W.W. v. Germany, stating the Court found no violation of Article 8 of the Convention, (right to respect for private life). The case concerned the refusal by the German Federal Court of Justice to issue an injunction prohibiting three different media from continuing to allow Internet users access on their internet portals of documentation concerning the applicants’ conviction in 1993 for the murder of a famous actor and mentioning their names in full. They claimed that there had been a breach of their right to respect for private life. The Court agreed with the findings of the German Federal Court, which had pointed out that the media had the task of participating in the creation of democratic opinion by making available to the public old news items that had been preserved in their archives. The Court reiterated that the approach to covering a given subject was a matter of journalistic freedom and that Article 10 of the Convention left it to journalists to decide what details ought to be published, provided that these decisions corresponded to the profession’s ethical norms. The Court noted that during their most recent request to reopen proceedings in 2004, M.L. and W.W. had themselves contacted the press, transmitting a number of documents while inviting journalists to keep the public informed.